Tax seasons over the next few years will get pretty frustrating when as a taxpayer you can’t get a phone call through to the IRS or speak to a live person. In an effort, reduce foot traffic and phone calls, the IRS has a massive plan underway to create online accounts for every American taxpayer to get information about their filings and conduct business online. This may appear to be a forward-looking approach to customer service, except that when most taxpayers connect with the IRS, they don’t need a cookie-cutter answer from the FAQ page of a website, but a specific answer to their unique case. That’s the concern the National Taxpayer Advocate raises in a mid-year report to Congress that highlights the fruitlessness of the Concept of Operations (CONOPS) program under wraps by the IRS. The expected pain caused will likely far outweigh an expected benefit of reduced taxpayer demand for services from the IRS. 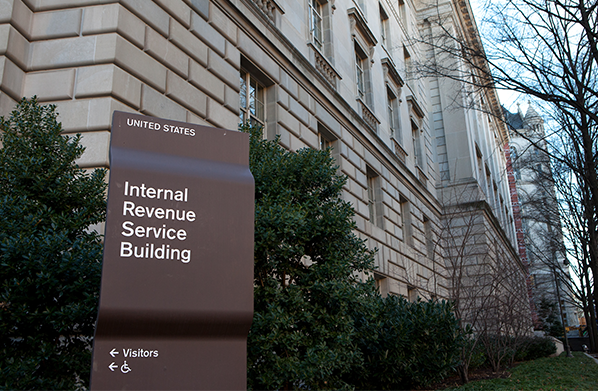 According to the NTA, taxpayers placed more than 100 million telephone calls to the IRS each year since 2008 and more than five million visits to IRS walk-in sites each year. They also send about ten million pieces of correspondence to which the IRS must respond. A large number of these contacts refer to post-filing issues that are mostly account-specific and require a live person with access to the taxpayer’s account to respond. Logging on to website is not sufficient. Second, online accounts won’t solve the problems of millions of taxpayers without access to the internet or with severe limited access. Think of the elderly or extremely poor communities. In addition, taxpayers have widespread distrust in the federal government to secure their personal data. We have reason not to trust the IRS in light of recent hackings and reports exposing insecurities. The NTA report points to a 2014 study of taxpayers with lower incomes (less than 250 percent of the federal poverty level) that finds 70 percent of these taxpayers prefer communicating in person while only ten percent are willing to interact online. The CONOPS in theory has worthy goals to automate customer service and reduce costs for the IRS, but the IRS is not being forthcoming with Congress and the public about the expected reductions in telephone service or closures of walk-in sites. The big questions being left unanswered is how big the reductions on service will be?